I have one RL01/RL02 ROMS that I can use with the M9213. I read the ROM to compare with the bootstrap listed below to verify I have the correct ones. I tested two drives and verified cables. There is no fault light on the drive. It appears that the drive controller I am using is bad OR maybe there is a grant continuity card issue, not sure yet. When I first power on the values in the control status register (774400) are good. 1-6 and 8-13 are cleared, bit 7 is set. After I attempt to boot (DL at the @ prompt), you can see the light pattern repeat over and over, looping through 173022 -->173160. I will go the "... PDP11GUI can be used to transfer diagnostics programs directly into the PDP-11 ..." route given I don't have a slot available for a 2nd M7856 (and thus can't emulate a TU58). This way I can load programs into the system such as diagnostics in order to rule out any CPU/RAM issues being the cause of the bootstrap loop issue. Download the .BIC images and load into memory using PDPGUI, as "Absolute Papertape Format" then run following PDF explanation. UNIBUS card positioning. Click for larger image. Dave M stopped by and made adjustments to the UNIBUS Non Processor Grant (NPG) lines on the UNIBUS. I had been asking around how exactly to make sure the NPG was happening when it needed to happen and disconnected when it should be missing. We did the following, for space reasons. 1) Removed NPG from wirewrap of last 5-slot backplane row per requirements for installation of M7762 RL11. I understand now better how the NPG works. 2) found pin on backplane that already did have this jumper removed and put a NPG card in this slot (3-4). This is a requirement for proper operation of the UNIBUS. This is the slot also used by the 9312 (1-2). Card placement Corner. Note, you can't see all of the way to the corner in this photo. If you could see where the M7762 connects to the backplane you'd see I've run out of slots. The "expansion" has no terminator a the end. Does not seem to be a problem, but not 100% sure. It is a 5-slot backplane. 3) Ran bootstrap. Now, Some code is written into the 000 000 page from the disk, but RL11 fails to boot. - Verify all drive, pack, and cable combinations return the same result. - Could it be that there is a conflict between the M9312 and the drive controler ROMs? Try booting without the CONSOLE ROM in place. I tested and verified the operation of the 64K (Not 128K) RAM card I have installed. I tested four M7762 RL/02 controllers. One is outright bad, the other three all seem to have no issue initiating the boot (the READY light blips out for a milisecond whe DL0 is run) but they all bomb after writing the 000 000 page data to initiate the disk read. The current configuration has only the main CPU backplane and a 1/2 backplane. There is not enough room for the M930 bus terminator, I have to remove it in order to give up a slot for the M7762 drive controller. Let's try putting the M930 back into the last slot. I will also remove the M9312 and G7273 and replace with the RL02 controller. I will toggle-in the bootstrap manually and attempt to boot. After methodically working through everything else, I was able to use the M9312 again with a 16K core stack this time. It's also set to be a terminator and sits in A/B of the last slot in the UNIBUS backplane. I can run the CONSOLE again. I now have a few replacement ROMs to try with the RL02 controller. I still can't boot up, or even appear to try to boot up. The system appears stuck blinking through an endless loop. Could it be the cable? Terminator? What is it man?!!!! "...*RL11 *controller instead, which is a hex SPC compatible module. This means the A/B sections only have +5/GND power connections, and sections C/D/E/F are the standard UNIBUS SPC pinout. So the RL11 controller could go in any of the above backplanes in SPC slots 2 thru N-1 (ie, not first or last SPC slots, as those have UNIBUS IN/OUT in sections A/B). So your RL11 could go in a DD11-B slots 2 or 3, and a DL11-A/B/C/D/E/W could go in any of DD11-B slots 1 thru 4. But according to the RL01/RL02 manual one must install in a UNIBUS slot only after the jumper between CAl and CBl (NPR Grant) on the backplane has been removed, if the jumper exists. This jumper is present on all slots of the DD11B. On my modified DD11C, slots 2 and 4 have this jumper removed, as far as I can tell. To test I put in a hex extender card, then found the pins where the NPR Grant could would be located. I used my volt meter to do a continuity test between the pins the NPR Grant card closes. If the connection beeps, I take this to mean that the backplane slot *is* jumpered and thus is not a candidate slot for the M7762 controller. The RT 11 diskpack Ray Fantini gave me is version 5.? and I was told I might need a minimim of 28K W to run it. So, I replaced my 16K core stack cards with a single 64K MOS RAM board to see if that makes a difference. This is the M7891 I was using before. The board is an MS11-L. Its installed in slot 3 of my DD11-CF backplane. Slot 3 is a MUD slot without the NPG jumper removed. The manual says it will work in any MUD slot. It seems to work OK. I ran a memory diagnostic and loaded BASIC. On the same backplane slot 2 is a MUD slot with the NPG jumper removed. I have had the RL11 controller installed there. The RL11 manual says the M7762 should be installed in a MUD slot with the NPG removed. If replacing the 16K core with the 64K MOS RAM will load RT11, I would conclude that one needs more than 16K installed in the system for version 5 all else being the same. 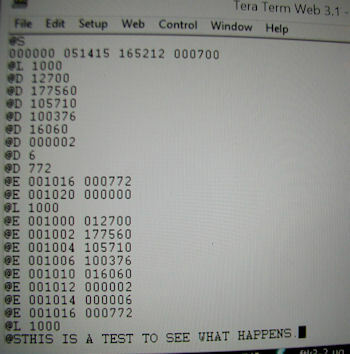 So I was thinking given the standard SIMH config for the PDP 11/40 includes installation of an emulated Extended Instruction Set (KE11-E M7238) module, perhaps RT-11 needs this. It turns out the two KE11-E's I have on hand are apparently bad. 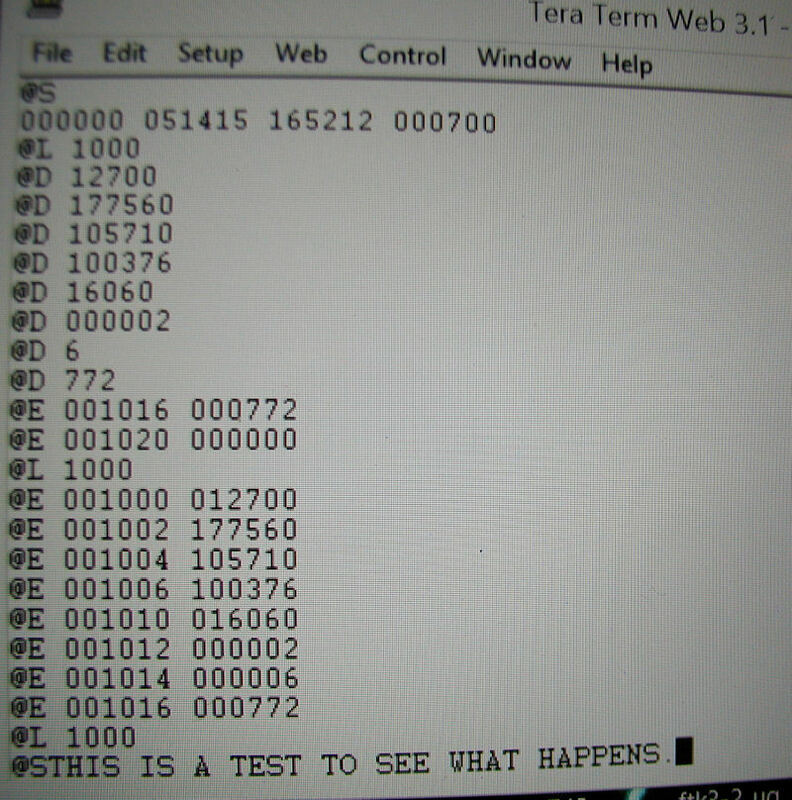 I confirmed this by first installing a test M7233 IR DECODE card that had been used in a system with a KE11-E. You can tell because W1 is cut. I temporarily jumpered the IR DECODE (M7233) card and installed in the 11/40 without a KE11-E in order to confirm it works. Next I removed the W1 jumper from the M7233 and I installed the KE11-E M7838 module. I attached the three cables between the M7238 and M7832. 2nd card - also bombs the CPU. Conclusion - I know now I have at least one extra working IR DECODE card (M7233) but I have no working KE11-E (M7238). Thus I have no way to include the EIS in the CPU configuration. I learned from the vcfed forum that the EIN is not necessary. The 11/20 can boot RT11 with 32K and no EIS (and presumably the 11/05). While I was testing things, I verified my MS11-L (M7791) MOS RAM (64K) passed enough tests to satisfy me that it was ok. I also loaded and ran BASIC. One thing to check into...I got a red light when I answered the MEMORY? question with a carriage return rather than entering in an amount. A quick system reset and load/run at 000 opened BASIC and it ran fine. It may be for the MOS RAM parity circuit you have to specify the RAM memory amount or it'll spill over when trying to find the outer bound, I have to test this some time. Using simH, I found that RT-11 v 5.3 disk I had been using requires more than 16K. 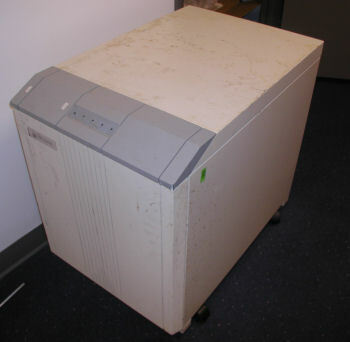 Read More about using simH on a PDP 11. Now that I have a working 11/40 I can start messing with disks. The first disk I booted was RT-11 v 5.3. It will boot with 16K, but you can't do much with it. I put in the MOS RAM card with 64K so I could attempt newer OS's, maybe even UNIX. Next I booted XXDP+, which loaded and ran diagnostics. Then I found a 2nd copy on another RL02 disk. I attempted other RL02 disks on hand, but they were mostly data disks for a 11/44 or VMS. Good. Now I have some scratch disks to use to build alternative operating systems. I have collected a few RL02 disk images. There's a UNIX 7 on RL02 but I think one needs at least 192K to run it. I will start with a small RT-11 5.0 disk, see how long it takes. I got a copy of UNIX 6 in RL02 format to try after that. It took about an hour or a little more to build an RT-11 5 distribution disk using PDPGUI and a serial cable. Tested, boots!